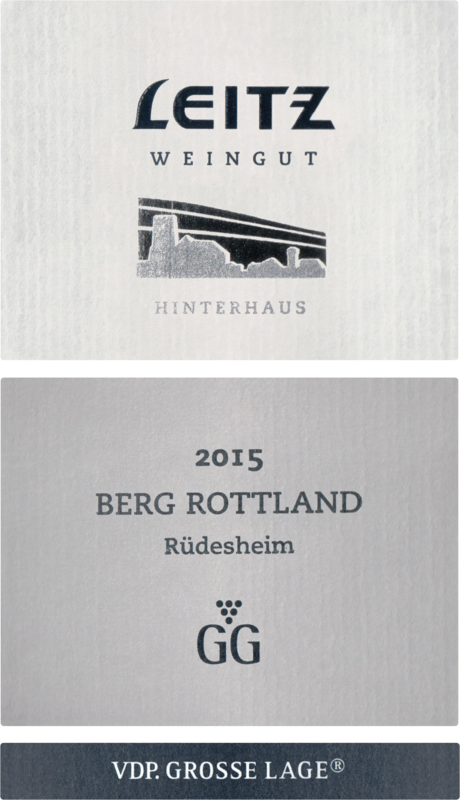 The intensely yellow-colored 2015 Rüdesheimer Berg Rottland Riesling Trocken GG Hinterhaus offers a deep, super ripe and intense, but also subtle bouquet of ripe Riesling berries intertwined with delicate stony and herbal aromas. The great elegance on the nose is repeated on the perfectly balanced palate, which is clear, fresh and precise, but also intense and complex; it has great finesse and a persistent finish. This is pretty much Rottland power for 12.5% alcohol. The wine has a firm structure and an excellent ageing potential, but should be aged at least for another three years or more. There is almost blazingly sunny brightness to a bottling that leads with fresh lemon and grapefruit, which subsequently animate an infectiously juicy, firm palate. Smoky and stony underpinnings as well as pungently herbal nuances are on vivid display thanks to utmost transparency in the wine’s exceptionally long finish. Absent here is the pungency of the corresponding Berg Roseneck or the textural polish, salinity and dynamic of the Berg Schlossberg, but we are rewarded with refinement, clarity and resonance. 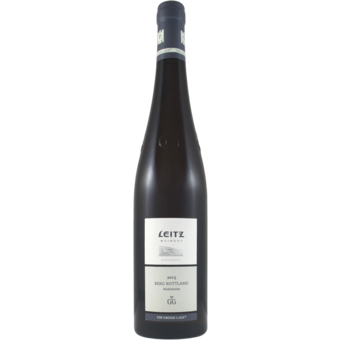 Leitz's Berg Rottland has more ripe peachy fruit than any other wine from the Berg (mountain) sites of Rudesheim in this vintage. That gives it a unique juiciness that makes it immediately appealing. Moderate acidity in this context.